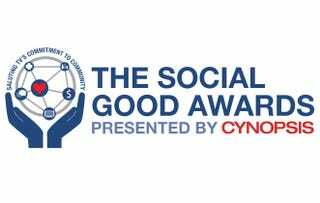 Cynopsis Media recently announced the 2018 finalists for the Cynopsis Social Good Awards, with FUSION being recognized in multiple categories for their social impact campaigns and content. FUSION was named a finalist in several categories including: “I Stood Up to Hate” in the Anti-Bullying Campaign/Initiative category, “The Seekers” in the Awareness Campaign/Initiative - Sustainability/Environment, “Color Complex” and “Wired Women” in the Diversity Campaign/Initiative category, and “Peace & Dance”, “Peace & Music”, “Peace & Cooking” in the Series with a Social Good Theme category. Our colleagues at Univision were also recognized as finalists in various categories. See a full list of finalists here. Winners will be announced at the 4th annual awards breakfast on Tuesday, May 22nd, 8:30am - 10:30am at The Yale Club, NYC.